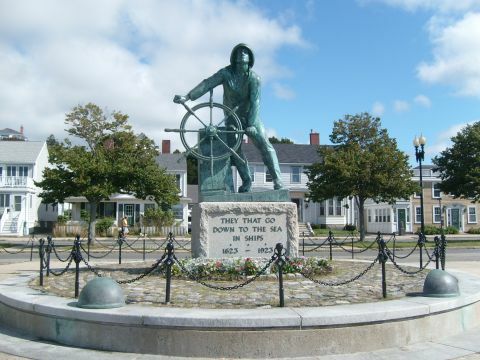 No trip to New England would truly be complete without a visit to the Fishermen’s Memorial in Gloucester, MA to pay homage. For centuries man has survived and died with fishing. It is one of the most dangerous jobs in the world and yet men and boys still go off to sea. For many generations of New England families, this way of life is all they know. It is not uncommon for grandfathers, fathers, uncles, and sons to crew together. 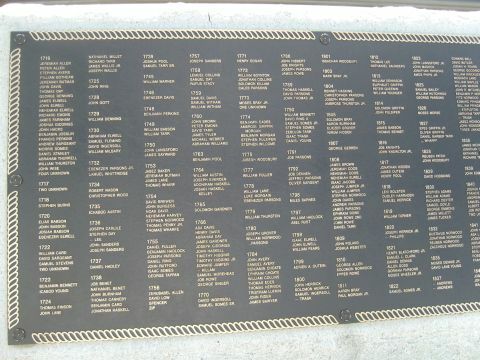 A look at the names listed on the memorial plaques of those lost at sea each year shows particular names over and over again such as the MacDonalds. I also found one lost sailor with my last name. Could be a relative. It is good these men will not be forgotten. For you fans of Bewitched, I first saw the memorial in an episode of Bewitched where Samantha had to attend a witches conference in Salem. In that episode, the fisherman came alive. 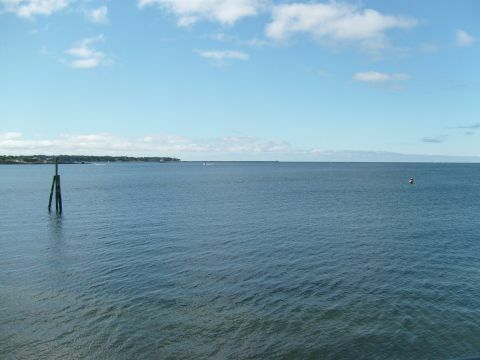 The town of Gloucester is very old and a typical fishing village. 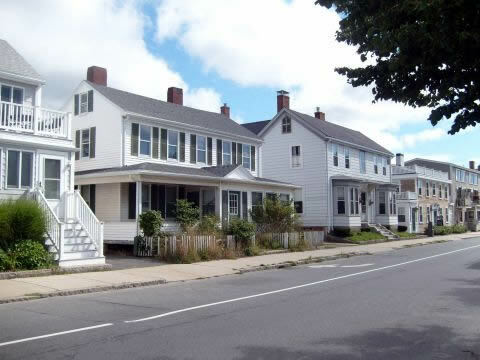 The streets are very narrow with typical old multilevel beach houses pressed in closely to each other. A great many of the houses have verandas to look out to sea and watch for the men returning home. The streets are not necessarily perpendicular or parallel which can make driving there “interesting”. A roundabout leads into town. I’m getting to like those after traversing several of them now. The RV parks in the area are fairly expensive so I only stayed a few days at Cape Ann Camp Site. This is a good place to stay to catch both Gloucester and Salem.